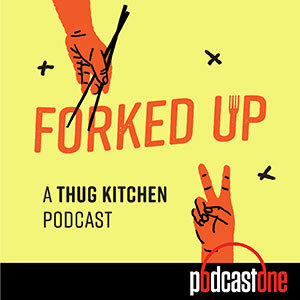 Chefs Chad and Derek Sarno (THE WICKED HEALTHY COOKBOOK) are on the podcast this week to give tips for beginner cooks, talk about their work with grocery markets in the UK as well as how to make some awesome meatless barbecue. Also, Matt and Michelle dig in to the potential of sky taxis...like a sky Uber (SKUBER?) as well as a new app that is making sure food doesn't go to waste. Visit any MedMen location in Southern California and Nevada and tell them you heard about MedMen on FORKED UP for $10 off your purchase! Jump over to Brandless.com and get FREE shipping off your first order.